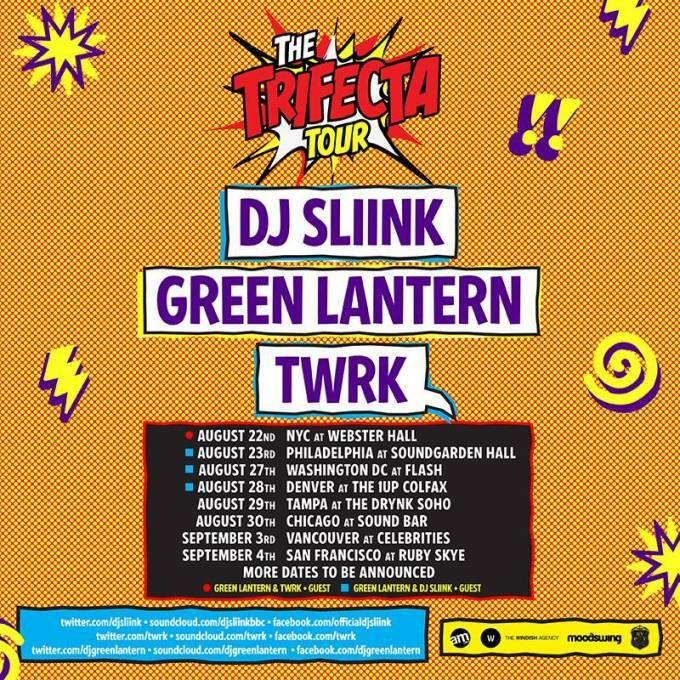 DJ Sliink x TWRK x Green Lantern - "Trifecta (If You Don't)"
Your old pals Sliink, TWRK, and Green Lantern are going on a tour. They might even drop by a city near you. To pique your interest (as if it wasn&apos;t piqued already? ), they&apos;ve put out this new track. It&apos;s equal parts trap, club, and twerk–kinda like how a show with these guys would be. I don&apos;t really think I need to talk about who these guys are unless you guys just randomly stumbled on this blog out of nowhere. Basically if you fux with us, you fux with these dudes. Be sure to check out the dates below.